On May 23rd this year, the World Health Organization (WHO), the world’s premier international public health agency, will elect a new Director-General to lead the organization when Dr. Margaret Chan steps down in July. The importance of this role, cannot be underestimated. A cool head, informed professionalism, and high-level organizational experience will be needed. 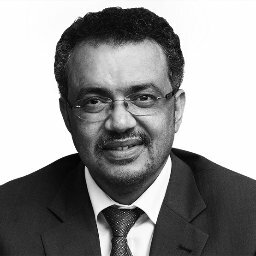 While three candidates remain in the nominee field, Dr. Tedros Adhanom of Ethiopia – a champion for global health priorities both nationally and internationally – stands as the most experienced, visionary, and veteran `problem-solving’ leader to take on this important global health position. The campaign is humbled to have received such a broad swath of public support for Dr. Tedros, which exemplifies the coalition of stakeholders he will carry into office, if elected. In a lifetime of service, Dr. Tedros Adhanom has used his proven political, diplomatic and negotiation skills to continue to build a healthier world for all people – a goal he will undoubtedly work towards when elected to be the next Director-General of the World Health Organization. Honorable Andrew Mitchell, Conservative MP for Sutton Coldfield, UK’s international development secretary between 2010 – 2012 | • Dr. Helen Befekadu Mesfin, Children Heart Fund Ethiopia, Cardiac Center | • Ambassador Ayanle Salad Dirye, Deputy Ambassador of Somaliland to Ethiopia | • Zaeem Ul Haq, MBBS MPH public health physician with over 15 years’ experience. Presently health advisor with Save the Children | • Marwane Ben Yahmed, is editor of Jeune Afrique | • Akash Goel is a physician, journalist and WEF Global Shaper | • Dr. Prashant Yadav, Dir. of Healthcare Research at the William Davidson Institute at University of Michigan | • Dr. Jill W. Sheffield is an independent consultant and longtime advocate for women’s health and rights | • Dr. Peter A. Singer is Chief Executive Officer of Grand Challenges Canada | • Louise Mushikiwabo, Rwanda’s Foreign Affairs Minister | • H.E. Dr. Nkosazana Clarice Dlamini-Zuma, Former AU Commission Chairperson | • H.E. Amina Mohamed, Cabinet Secretary for Foreign Affairs and International Trade for Kenya | • H.E. Dr. Tekeda Alemu, Ethiopia Ambassador to UN | • H.E. Ramtane Lamamra, Minister of Foreign Affairs Algeria | • H.E. Festus Gontebanye Mogae, Former Botswana President | • H.E. Dr. Moussa Faki Mahamat, Current AU Commission Chairperson, Former Minister of Foreign Affairs Chad | | • HE Mr. Taban Deng Gai, VP South Sudan | • HE Mr. Mogweetsi Masisi, VP of Botswana | • HE Ms. Netumbo Nandi-Ndaitwah, Deputy PM of Namibia | • HE Dr. Augustine Mahiga, Minister of Foreign Affairs of Tanzania | • HE Professor Ibrahim Ghandour, Minister of Foreign Affairs of Sudan | • Zeray Hailemariam, Ethiopian blogger, Walta Information Center | • Samuel Getachew, Ethiopian Diaspora Blogger | • William Foreman, former foreign correspondent and public relations and global communications strategist | • Hafsa O. Mohamed, Ethiopian Diaspora Blogger | • Carlos del Rio, MD is the Hubert Professor and Chair of the Department of Global Health at the Rollins School of Public Health and Professor of Medicine in the Infectious Disease Division at Emory University, Atlanta, Georgia US | • Hans Rosling (Deceased) Swedish Doctor, Statistician, Development Expert.